If you know anything about Apple, you know that they are not a cheap brand. Their iPhone X is the most expensive phone out there (at least among the mass consumed phones – luxury phones don’t count) and their Macbook and iMac computers have always been among the higher-priced items when compared to their PC counterparts. A decade ago, if you wanted a solid laptop with enough RAM, storage, a good processor, that was going to last you a while, you were looking for a relatively expensive device no matter what. Macs had a reputation for being extra-secure (which was true at the time because there were fewer threats to Macs) and some people really liked the interface. Thus, people would buy the MacBook over a Dell laptop in 2005, and they liked the operating system and have probably stuck with Macs ever since. Or maybe they haven’t stuck with Macs and that’s why Apple might be pivoting to cheaper Macbooks. Nowadays, however, there are plenty of alternatives to the $1000+ Macbook that aren’t just a couple hundred dollars cheaper but are less than half of that price. Google’s Chromebooks are probably the easiest of the example of increased competition for Apple’s MacBooks. They run Google’s Chrome OS, so not Windows 10 (much like a MacBook). They’re even named the same way! But they are not priced the same way. 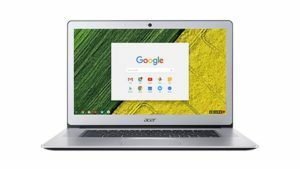 The list of available Chromebooks has models ranging from $250 to $999. Compare that with the options available at Apple, and you’ll see that the cheapest (unused) option is a $999 MacBook Air. Dell’s Inspiron laptops are very solid machines, and the most expensive option there starts at $799. Lenovo has many different types of laptops out there, some of which are expensive, but their most common price-range is between $250 and $499. 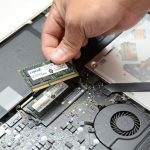 Just as a disclaimer, for many of these options I would recommend getting more RAM, or maybe a little more storage, or a newer processor, but to bump one or two of those up to the next tier doesn’t cost over $500 more. At the end of the day, Apple is going to come up with a plan to get more of their products in front of high schoolers and the college crowd. Then down the line, those people might stick with Macs but get the better and flashier upgrade when they’re older and can afford it easier. 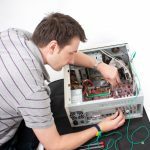 It’s becoming easier and easier for students to get away from $1000 laptops and just grab an adequate one for $250-$400. The hardware might not be quite as good, but it can get the job done for four years. Thank you for reading. We hope you don’t have any broken devices, but if you do, please feel free to look at our locations to find your local store’s information! Call us for help 7864220705.